Phone: +43 5352 64210 Book now! 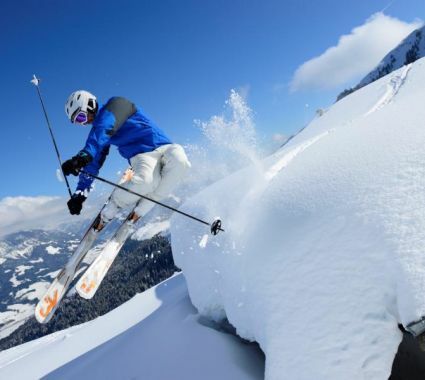 For more than a century, skiing has been a popular sport in the Kitzbühel Alps. 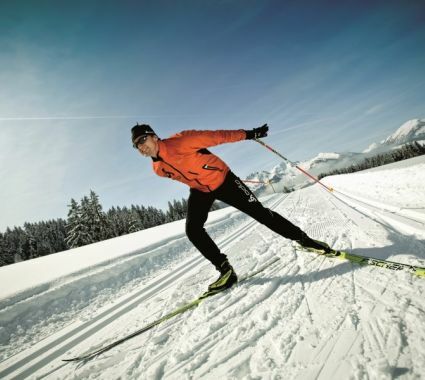 A number of skiing-legends were born here: Toni Sailer- `The Blitz from Kitz´, the dream team led by Hias Leitner, and of course Hansi Hinterseer. The guest house Kalkschmid is a perfect base for lovers of winter sports, as it is centrally located between the surrounding ski resorts. 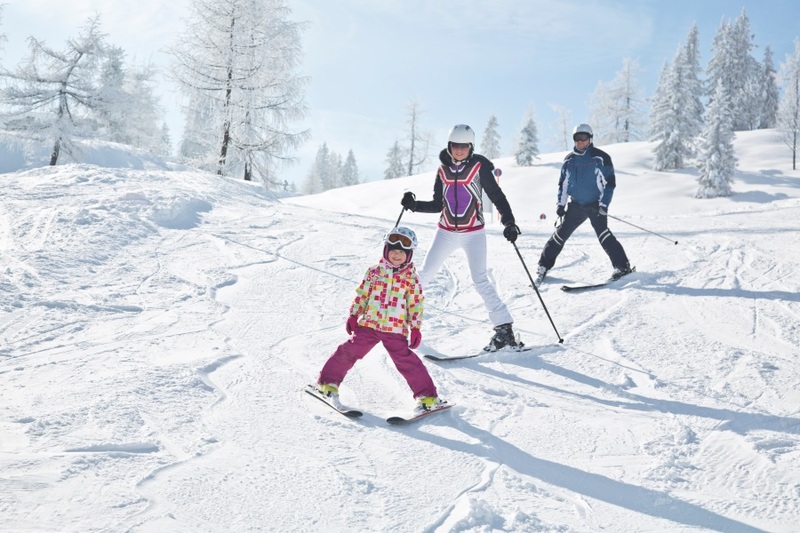 The closest access to slopes may be found in St. Johann, but the popular destinations of SkiWelt Wilder Kaiser-Brixental and the cable railways Fieberbrunn, Pillersee and Steinplatte Waidring are just a few minutes away by car. 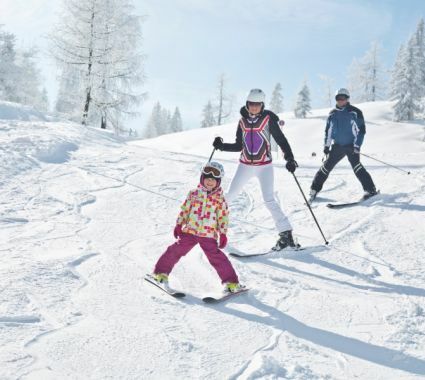 The association Skiverbund Kitzbüheler Alpen joins ten of Europe’s best ski areas. 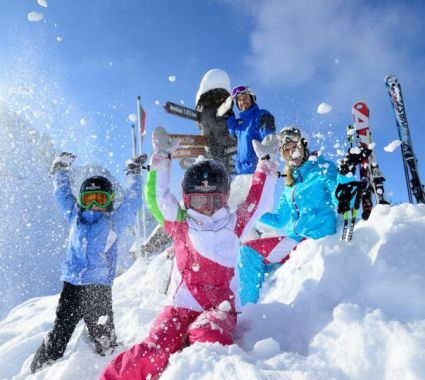 The Kitzbüheler Alpen AllStarCard is a comprehensive ski pass offering access to all ten resorts, with altogether more than 1,000 km of runs, and is therefore an excellent offer to avid and experienced skiers. 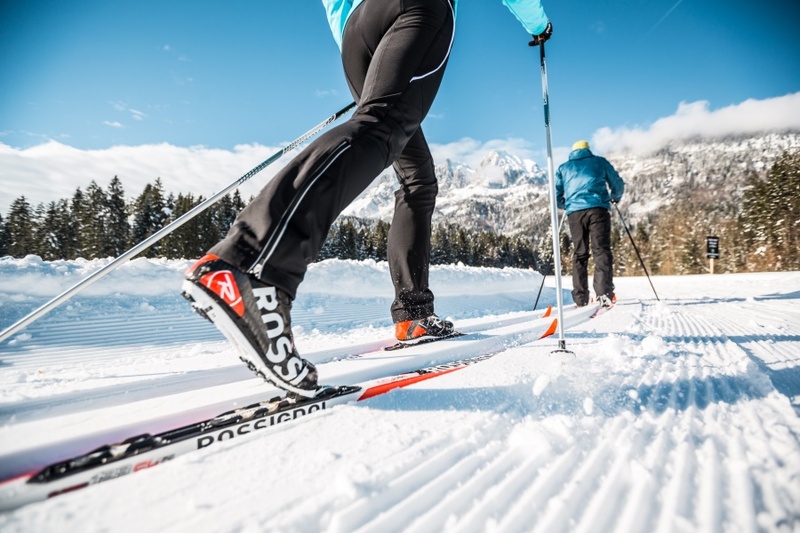 You can access the more than 700 km prepared cross country tracks in the holiday region directly from the guest house Kalkschmid. The Sonnenloipe and the Tirolerloipe both pass right in front of the building. Using the trails is free of charge (with the exception of Pillerseetal). 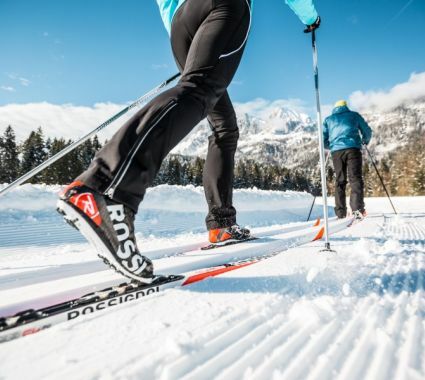 Whether you like classic skiing or skate skiing, beginner or seasoned pro, the Kitzbühel network of trails offers a perfect trail for you. 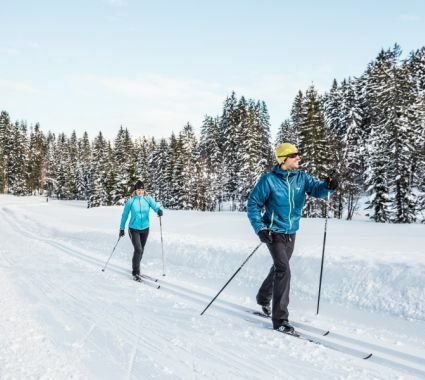 For all those who enjoy decelerating a bit, the region offers innumerable options for exploring and enjoying the pristine winter landscape on foot. 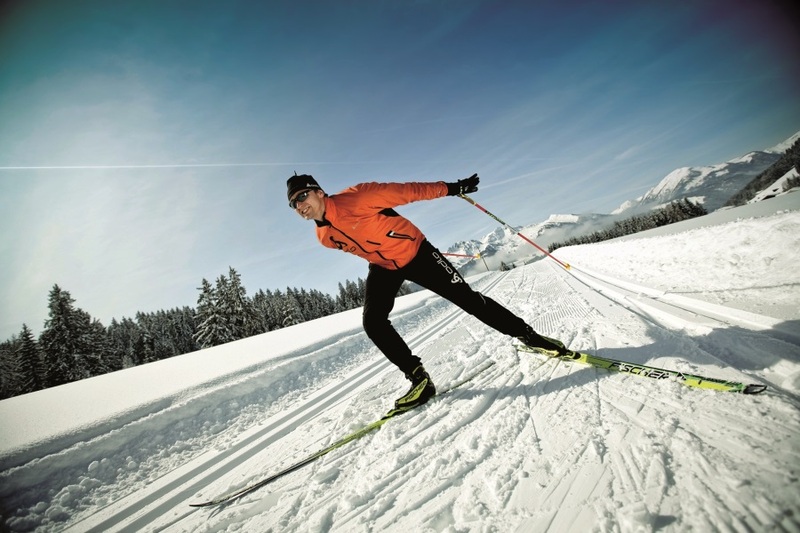 Well-groomed and cleared hiking trails may be used without special equipment and experience. Cosy chalets along the way are perfect for warming up again. Guided hikes are also available. 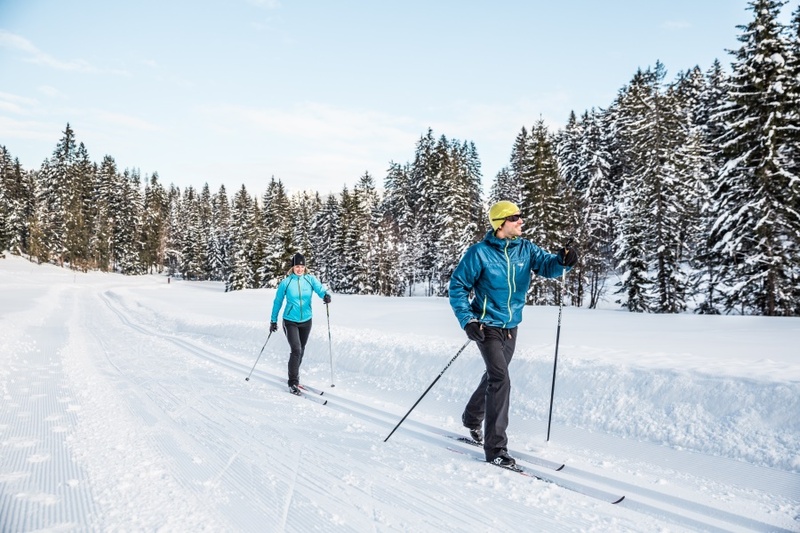 If you’re interested in a very special experience, why not book one of the guided snow shoe hikes through untouched mountains, far off the well-trodden paths.